Germany's BELECTRIC developed more than 300 MW of PV systems in 2010, propelling it to the top of IMS Research's 2010 Global PV System Integrator Rankings. The Commonwealth Business Council's (CBC) 2011 Power Summit will begin tomorrow, March 1, 2011 at the Royal Commonwealth Society, London. Rapid Electric Vehicles (REV) has recently brought on John Wallace, a 20 year automotive veteran with experience in alternative energy technology development. This is the first of a series of announcements from REV. They have found their niche in targeting ideal early adopters for Electric Vehicles - the commercial fleet market. Ford Motor Company Has A Green Building For Manufacturing for the Ford Focus. $550 million to go green and save green in the process. Ford Motor Company is celebrating production of its all-new global Ford Focus, built for North American customers in its completely transformed Michigan Assembly Plant (MAP). Following a $550 million transformation, the plant features an environmentally friendly workplace with flexible manufacturing capability and a motivated, specially trained work force ready to deliver a fuel-efficient new car to the marketplace. Brian Krolicki, Lt. Governor of Nevada, announces that Green Fuels America, Inc. will manufacture its FuelMatic™ and other commercial biodiesel processors in Nevada. Will solar development survive in North Africa and Middle East? In recent weeks the world has seen a dramatic change in the political structure in North Africa and Middle East. With all eyes of the world on the region the question remains what does the future economy hold and what does this mean for investment and the development of solar projects. Ocean Thermal Energy Corporation develops systems using the natural temperature gradient of the ocean to produce clean, sustainable base-load power and fresh drinking water, without the use of fossil fuels. Sea water district cooling, aquaculture and hydrogen production are also by-products. Pfister Energy, a provider and installer of renewable energy power generation systems, today announced that it has completed the installation of a 115.92 kW (DC) solar photovoltaic system on the roof of the Bergen County Prosecutor's office in Paramus, New Jersey. Paracas Yachts eliminates fuel dependency with alternative energy solution. 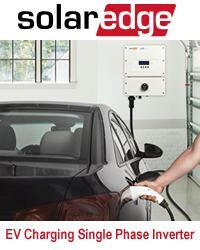 UMA Solar is pleased to announce an exclusive partnership with John Ervin and a new distribution point in Hermann, Mo.